We've received word from Landmark Education that the Landmark Forum for Young People was offered in India for the first time ever this fall. Three courses were held in New Delhi, Mumbai and Bangalore this September, with over 100 young people attending each course. Additionally, three family coaching sessions were also held. I am 11 years old, and I did the Forum in Bangalore. What I got out of the Landmark Forum was like a flash of light. I can be anything and do anything I want. Doors immediately opened for me. I realized I have control of everything I do, and at that instant I also realized something else. I don't have to think that just because bad things have happened in life, it means I am a bad person. I don't have to be chained by the events of the past, or my views of myself. Instead, I can tell myself whatever I want, and be whatever I want. I am free. Thank you for coming to India. My son was in the Landmark Forum for Young People in Mumbai this past weekend. He has been asking me since he was three years old "Mama, when can I do the Landmark Forum, too? ", and was so excited when we told him he could FINALLY do the course – he's 10 now. What I got out of being with him through the Forum this weekend…He has already cleared his past up. He has already created this new life for himself with me. He told me last night how lucky he is to have me for a mom and how he loves his life. He talked about noticing other kids with lots of arguments about their parents. He said we do a "good job of communicating" in our family. It is an inspiration to watch you in action, and to know what is possible for me personally, and for my family. Thank you for being a stand for our family's extraordinary life. Due to the success of the courses and the positive responses they received Landmark says it will hold three more Landmark Forums for Young People and three more family coaching sessions in the same cities in September 2010. I want to send my kids for the Landmark forum. Please tell me the course fee and age for attending the same in Delhi along with next session date. You may contact me on my cell no. +919810011518. 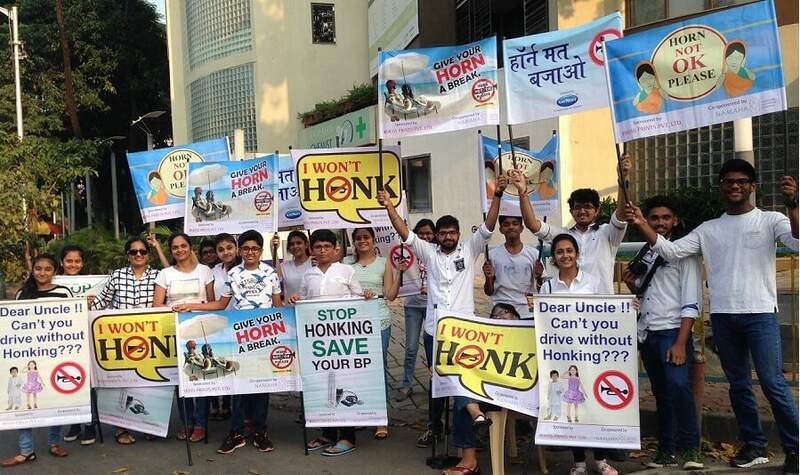 An innovate ‘Shhh…No Honking’ campaign is reducing noise pollution in Mumbai. This Landmark Education SELP project from Bangalore is positively impacting the lives of orphans. Makarand Purohit’s project that he created in the SELP (a Landmark Education program) was an enormous family reunion.